So You Want To Vacation Like a Secret Agent? QUAID: Secret agent...How much is that? I know there is a lot more to it than that, but if we are trying to get this into a long weekend or a week’s vacation, we have to limit the choices. The Stiletto Spy School is exactly what every woman who is going on vacation in NYC or Vegas needs. Their two-day class in New York City offers up the opportunity to learn precision firearms, burlesque bump and grind (using your assets to render your target speechless), perfect poker skills, calm and control training, edged weapons, seduction and flirtation, and deception detection. Las Vegas missions offer up a four day class including real table games dealer instructions, Navy SEAL hand to hand combat, sommelier-guided wine training, and wrapping up the weekend with a makeup and beauty lesson from the pros while drinking martinis and having dinner. They also offer custom events for the boys at their MI6 Academy. If you are in the Phoenix area, a group called The Citadel has a live action role playing game where for about $100 you and three others can get in on a chance to “work” for an international private spy agency that has been infiltrated by a double agent. It incorporates multimedia technology, live actors and real locations all the while immersing you into a world of fun. Since 1993, Incredible Adventures has been taking people on true thrill rides: Flying a MiG fighter jet, swimming with the great white sharks, skydiving Mount Everest, and even blasting off into space adventures. 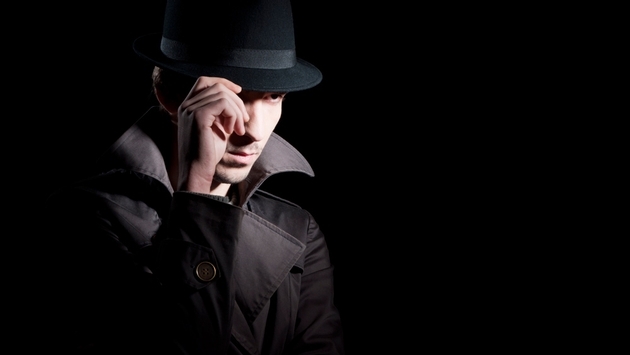 If you are looking to be a spy, you may want to have a base set of covert-op skills and the good news is IA can do that for you, too. Their covert ops mission includes learning counter terror warfare with an assault rifle, anti-ambush drills and protocols employed by high risk security teams in the Middle East, how to effectively fire from a moving vehicle, lifesaving skills, Israeli martial arts, and military gas training. If you fly a jet with them you will get a full tour of Moscow, a flight in a MiG jet and a tour of the Sokol air museum. Even though Incredible Adventures offers tank driving as well, I would highly recommend the folks at Tank Town USA for a ride in a tank. They are less than half the price, super personable and less than one and a half hours from Atlanta. Check out my experience at Tank Town USA here. If you are going to be a secret agent, you have to know when hold them and when to fold them and not just in any game, in EVERY game. Whether you are at the Casino Royale in Monaco or just floating around Las Vegas for the weekend, you need to know what you are doing. Casinos in Vegas have learned over the last 20 years that not everyone coming to the casino floor knows the difference between an easy four and a hard eight. Most casinos will offer up free lessons with fake money and answer all the questions you need. If you get away from the strip or in some of the smaller casinos you can sometimes even ask you dealer right at the table and they will walk you through it. I would recommend not doing this while there are a bunch of others at the table as you may cause a little ruckus. In some casinos you can even go a little further. When the Cosmopolitan opened up, they would even let you be the “stick man” at the craps tables (there were definite times and places this was and was not allowed). If you are just interested in learning more about spies instead of being one, get to the International Spy Museum in Washington, D.C. Opening in 2002, it contains the largest collection of international espionage artifacts ever placed on public display. Currently, they are featuring Exquisitely Evil: 50 Years of Bond Villains. That alone should be enough of a reason to go. Who knows, you might even find someone in the D.C. area that you can test out your new-found skills on! (Editor’s note: He’s joking. Please don’t go running around D.C. acting like a spy. At best, you will be detained by the authorities. At worst, you will spark an international incident).